Hi! I’m Lambert, and I'm a Suffolk Sheep! I like to eat hay and grain but I love apples the most! Hi! 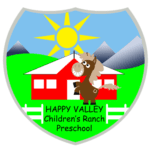 My name is Charlotte, and I have lived at Happy Valley since I was a baby. I'm a Potbelly Pig, and my favorite things to eat are watermelon and pumpkins. Hi my name is Peanut Butter! I was adopted from another school several years ago. Hi I am Jelly! My best friend is Peanut Butter. My Favorite thing to eat are carrots. Hi I'm Trixie! My mother is Magic. I just started giving rides and I love playing with the kids. Hi my name is Daisy! I'm a Nigerian Dwarf goat. My favorite things to do are swimming and playing with Otis! I love to eat carrots and apples. Hi! My name is Mify! I am a Rhinelander bunny, I was donated from a family at Happy Valley. My favorite snacks to eat are carrots, apples, blueberries. Hi! I’m Checkers, and I'm a Jacob sheep. if you call my name when you have a treat or an apple I will come up to you! Hi! My name is Sky! I was born here in Happy ValIey. I got my name because I have one blue eye! Hi! My name is Magic. When I was born I was a black pony, as I grew up I turned white, just like magic! Hi! My name is Rocket I was also born here in Happy Valley. My mother is Orbit and my brother is Sky! I love eating treats! Hi! My name is Orbit! I am one of lucky ponies that gets to ride on the ring! Hi! My name is Otis and I am a Pygmy Goat. I love getting attention from the children.